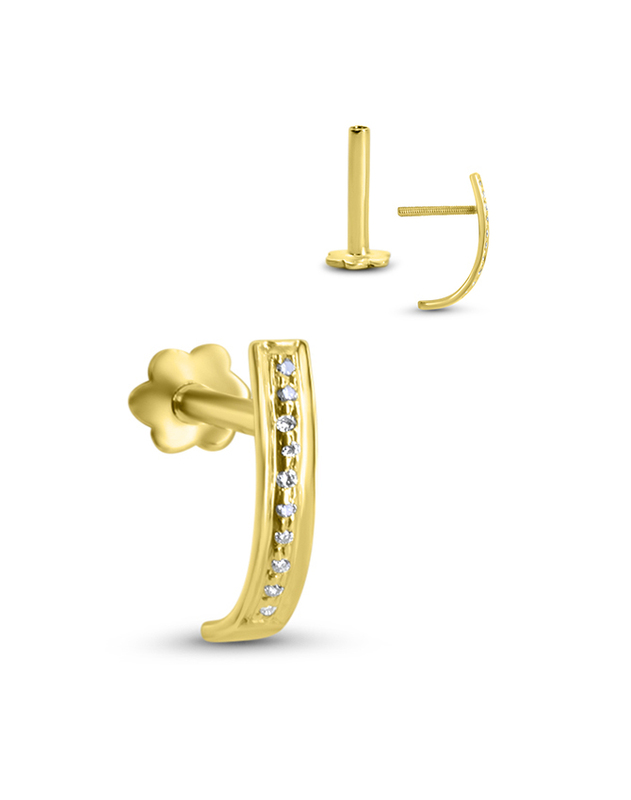 This solid yellow gold labret style nose stud measures 2.2mm wide with a length of 12.5mm. This is a stunning piece and has 10 genuine diamonds that measure approximately 1mm each. 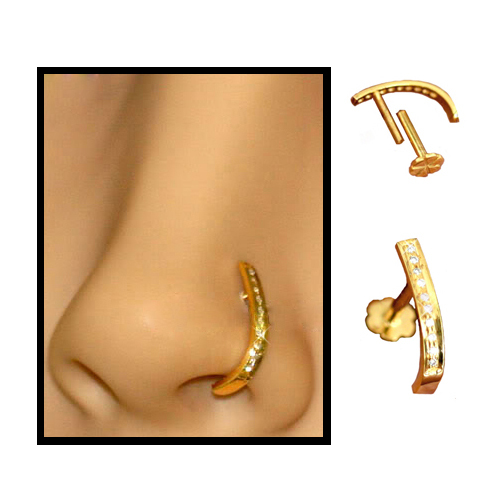 The beauty of this nose stud could not be captured with digital photography, it is a very beautiful piece. Please note, this nose stud is very thick measuring 1.3mm (16G), if you are looking for something thinner, we do offer this in a screw style as well in a 20G.